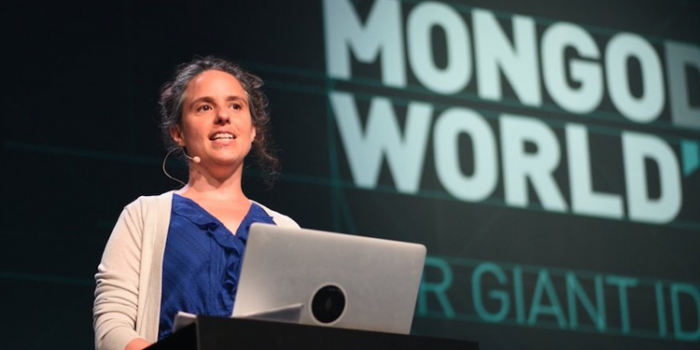 MongoDB has announced details for the fourth annual MongoDB World, the largest global gathering of the MongoDB community. More than 3,000 developers are expected at the Hyatt Regency Chicago on June 20-21. This is the first year the event will be held outside New York. MongoDB World 2017 will feature a number of breakout sessions as well as jumpstarts, community events, a partner summit and a startup showcase. Attendees will have the opportunity to listen to technical sessions from MongoDB engineers and customers like Gexa Energy, Remediant, Aon Hewitt, Merrill Corp, Thermo Fisher and Vonage about a range of topics including server intervals, microservices, containers, artificial intelligence, analytics and more. Horowitz said the conference "is designed to help the developer community collaborate with peers from the biggest companies to emerging startups. It is the destination to learn how MongoDB helps to deliver on giant ideas, and the place to be for early access to the exciting new products we have in store." MongoDB World is a two-day event to be held June 20-21 at the Hyatt Regency Chicago. Over 3,000 attendees will network with developers, IT professionals and tech evangelists who are building modern applications, interact with engineering experts, and learn about the newest features available. New this year, childcare will be available onsite. Until March 3, registrants can access a 25 percent discount off of the on-site registration price using the special discount code, "Chicago". Groups of three or more can get an additional 25 percent off of tickets. The fourth annual Innovation Awards recognize the most innovative work in the industry. Winners will be given two tickets to the conference and MongoDB Atlas credits. Past winners include Barclays, China Eastern Airlines, cMapIT, Comcast, Expedia.com, NOW TV, Oxford Nanopore Technologies, Practice Fusion and UPS i-Parcel. The deadline to submit a nomination is March 15. Winners will be selected by a panel of judges and notified in April. As part of the company's commitment to changing the gender ratio in technology, it will host the Female Innovators program for the second year to make the conference more accessible for women in technology. Accepted nominees get a complimentary full conference pass and have access to additional events on site. To further help break down the barriers that prevent underrepresented groups in technology from attending MongoDB's conferences, the company is also offering Diversity Scholarships. Recipients will receive complimentary admission to MongoDB World, a pre-conference workshop, a certification voucher and mentorship.